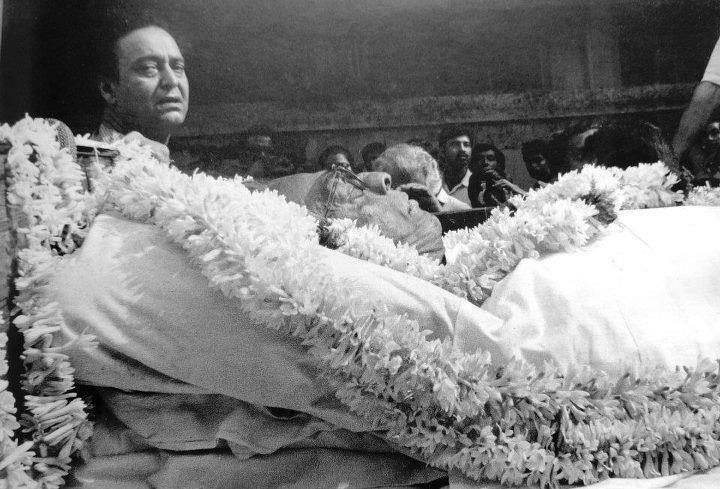 On 23rd April 1992, Satyajit Ray, one of India’s most celebrated personalities from the world of cinema, passed away in Calcutta. Twenty one years later, we at TCRC revisit some material on the illustrious life of the iconic Bengali filmmaker. The New York Times published a glowing obituary of Ray, the day after his demise (click here to read the entire obit). The obituary, penned by Peter Flint, recounts how a three-member Oscar committee visited him at Belle Vue Hospital in Calcutta, a month before his death, to present him with the golden statuette for lifetime achievement in cinema. The presentation of the Oscar was filmed and his acceptance speech was screened two weeks later at the Oscars ceremony at the end of March that year. Interestingly, the Bengali newspaper Anandabazar Patrika didn’t carry a single advertisement on the day after Ray’s death as a mark of respect to the master filmmaker. Well, from where we see it, very few filmmakers today would even be considered worthy of such a tribute and fewer media outlets would be willing to pay such a tribute!